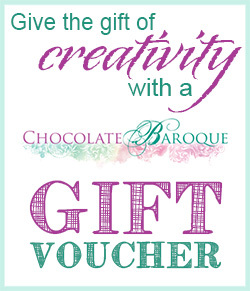 Most of the products on the Chocolate Baroque website are eligible for Chocolate Baroque Loyalty Points. (The only exceptions are gift vouchers and some special offer or clearance items, which may not be included.) It's a very simple system - for every pound you spend on eligible products, you get a point. At the moment, each point that you collect is worth around three pence, so if you have collected one hundred points, that would be worth three pounds (although please see below about the way in which points are used). You don't need to do anything to collect your points - they are added automatically whenever you purchase a qualifying product. 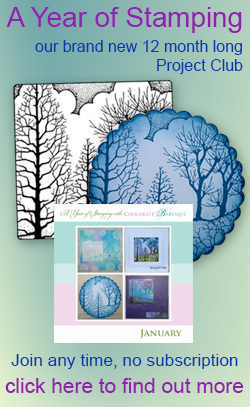 You can check how many points you have by logging in to your online account on the Chocolate Baroque website, going to Your Account (just click the link at the top-right of the page) and then looking at your order history (click the Order Information link). The first item on your order information page is your current number of points and the amount that it is worth. If you have loyalty points available to use, you will be given the option to use them when you check out. At the bottom of the check-out page, you will see your points and a check-box that you can select in order to use points for your purchase. If your order value is more than the value of the points you currently have, you can choose to use all your points towards your order and then pay any remainder using whatever other payment method your prefer (Paypal, credit card, etc.) If you currently have more points than the value of the order, you are given the option to use enough points to cover the cost of your order completely and will have nothing further to pay. Unfortunately, our current system does not have a facility to choose the number of points that you want to use yourself. It will only give the option of using all your points (if your order comes to more than your points) or using enough points to pay for your entire order (if your order comes to less than your points). Also, bear in mind that, while the value of a loyalty point is approximately three pence, if you choose to use points to cover the entire cost of your order, the system will deduct enough points to ensure that nothing further needs to be paid. This means that, in some cases, the full value of all the points isn't quite used. For example, if you're making a purchase costing £3.01 and you have enough points, the system will give you the option of using 101 points to cover it. Notionally, those 101 points are worth £3.03 (and the system will actually give the option of 101 points for any purchase from £3.01 to £3.03) but there are no fractional parts of a point. The system will always give the option that covers the total cost in such cases, rather than trying to use the nearest accurate whole point value and then requiring tiny additional payments. At the moment, loyalty points expire after 12 months. So, if you've got them, don't wait too long to use them! We thought that was a reasonable sort of time frame - given the amount of yummy new stash that keeps appearing, not to mention our regular new stamp launches, we figured if you haven't found something new to spend your points on in a year, you've probably been abducted by aliens!